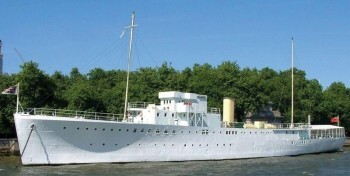 To be held on Saturday 14th July 2018 on board HQS Wellington, moored at Victoria Embankment (opposite Temple Underground Station). Tickets: £85 for WA members and their guests and £105 for non-members. Dress: Black Tie, Mess Kit, Decorations. Bookings and payment by cheque and post to the WA Office. Queries contact: 020 8633 9926 or email: office@whitgiftianassociation.co.uk.